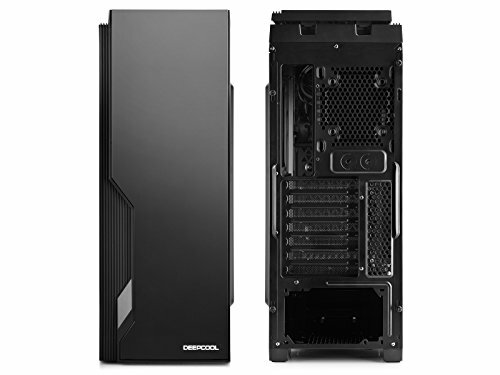 Other than a CPU cooler clearance issue, I love this case. 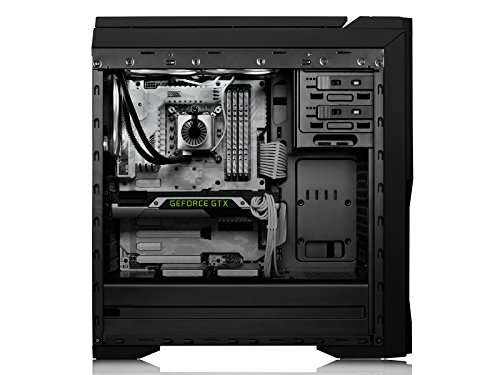 Love the PSU shroud and personally I love the simple, clean lines look. Just keep in mind the CPU clearance. It can get tight. It's a pretty good case. nice cable management, looks fancy, I like the two removable SSD trays. I like the power supply cover. nice big window. 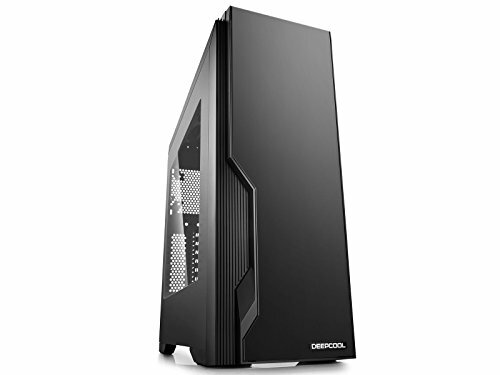 first desktop case I've had so can't compare. don't get it for the fan controller though. I got a LEPA, Fractal design, cooler master, and a rosewill case fan. the fan controller made all of them buzz when on lower speeds. It was quieter to have the fans at full speed because they didn't buzz. the whoosh noise was pretty loud then. I did some research and I think this controller changes speed by turning the power on and off really fast for the fan, not by changing the voltage. the fan that came with the case is pretty quiet, it did not buzz with the fan controller (it still buzzed but it was pretty quite), but it doesn't move much air. the other deepcool fan that I got with my CPU cooler didn't buzz very loudly with the controller either. The cooler master 120mm is in the back connected to my only case fan header on my mobo. It's pretty quiet and keeps my system pretty cool. I'm really happy with this case. I was a bit skeptical at first. This company isn't that well known, but I'm glad that I picked it. It fit all of my parts perfectly, and wasn't expensive at all. 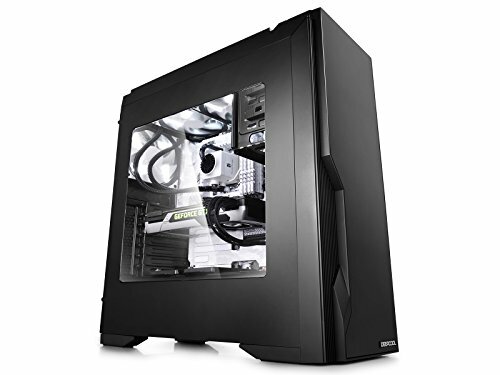 Really nice case for it's $50ish price, but it ships poorly. Be sure to check the top panel very carefully for broken feet, etc. from completed build First Build: Happy with it. Great case, enough room and the glass looks amazing. Wanted a case with Side Window. This was it. PSU shroud and LED strip were the deciding factors. I don't like the front panel door. Have to keep it open in order for the front fan to work properly. Otherwise it's a good case and plenty of drive bays. Love the look of the case, and it was super easy to build in as well. It would get insanely hot (the pc parts and the case itself) until I put 3 exhaust fans. Front panel is a pain to get off but I rarely need to do that. Taking off the top panel during games decreases temps by around 7 degrees in my experience. 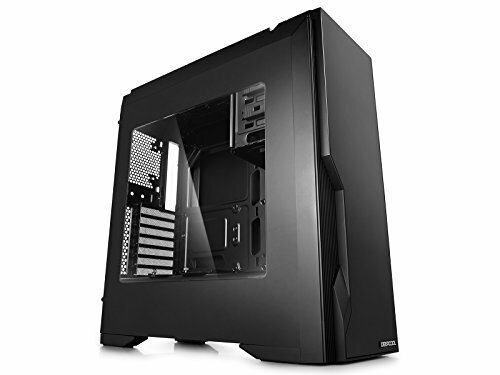 To fit all my computer components, I looked for a cheap but well designed case that had a side window. After picking this case up for $65 after taxes, I was pretty happy overall. Its not the best case but it gets the job done, and with having two cats, the included intake filters were an amazing extra. Very spacious, easy to work in, and I had lots of room to make sure everything was wired correctly before sorting out cable management. There needs to be more cable space down by the drive bays, but there were tons of tie-downs once you got all the panels off. I even removed the SDD mounts and used the space for more tie-downs. You can also remove all the panels without tools which is super helpful for dusting from time to time. Power LED went out after about two weeks working, so I took off a star for that, but Deepcool customer service was super helpful in coming up with some sort of compromise for the cosmetic annoyance.